Watermelon – it’s the quintessential summer fruit! Sweet, juicy, and refreshing, fresh watermelon is a staple at our summer gatherings. With the intense summer heat here in the Arizona desert, we do a lot of pool parties over the summer! So, we put together a fun, simple spread to help share a slice of summer! Isn’t it fun?! While watermelon is the perfect summer fruit, lemonade is the quintessential summer beverage. So, we served up Minute Maid® Lemonade – with the refreshing great taste of a simpler time and Sprite® for drinks! And to really add to the fun and the whole watermelon theme, we made little watermelon coolers for our drinks! To make those (and the other watermelon treats), you’ll need to make sure you pick up at least two watermelons! 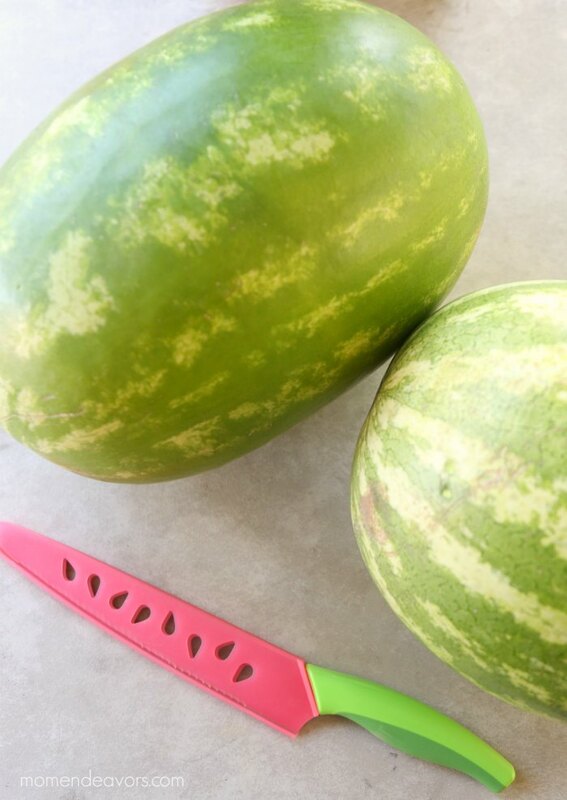 To make the little watermelon coolers, you’ll need a fairly large melon (like the one in the photo above). You’ll need to cut the watermelon in half and also cut just a small amount off the bottom (careful to NOT cut all the way up into the flesh). You need to just cut off a little layer of the rind to help the melon stand up. Then, you’ll need to hollow out the watermelon halves. To make things cuter for serving, I recommend using a melon baller. Place all the melon balls into a large serving bowl. Then, once you have taken out most of the watermelon flesh, use a serving spoon to scrape out the insides. You can set those bits and juice aside in another bowl if you’d like (it works great for making a tasty watermelon limeade). 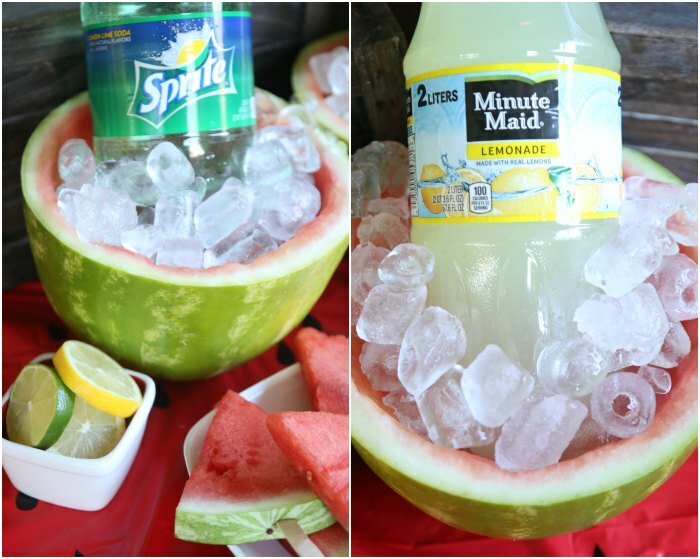 Put some ice in the bottom of each hollowed out halves, then place your bottle of Minute Maid and/or Sprite inside. 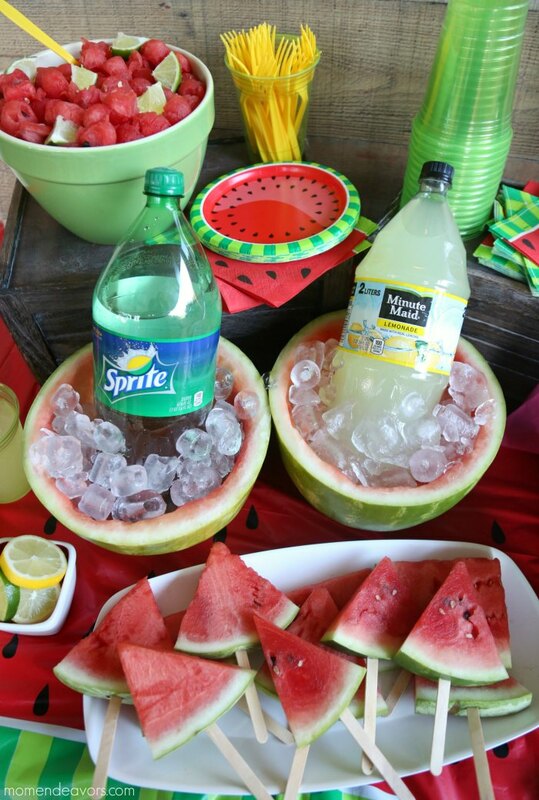 Add ice all around the bottles and you’re set with cute, little watermelon coolers! So fun! It’s such a simple idea, but really makes the party table look so cute while keeping your drinks cold – win! 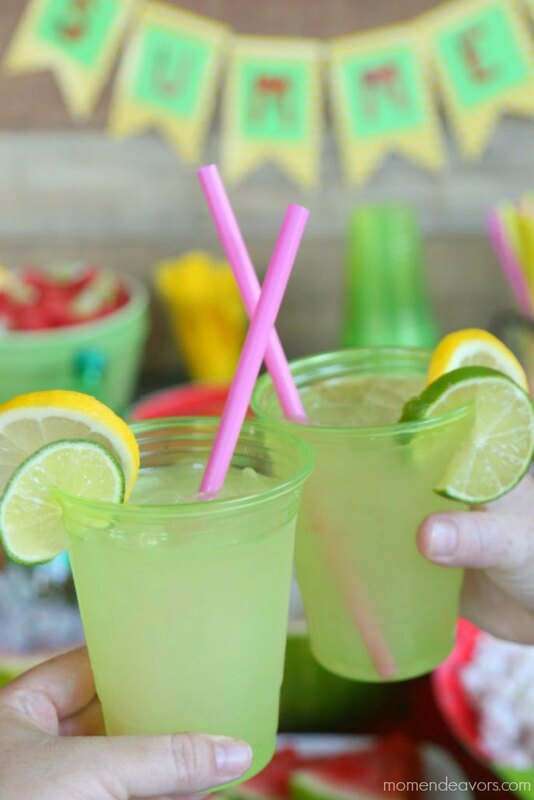 Then, make sure you have some cups, cute straws (lime green and pink work great for this theme) and some sliced lemons & limes for drinks! Guests are sure to enjoy and have something to toast to! 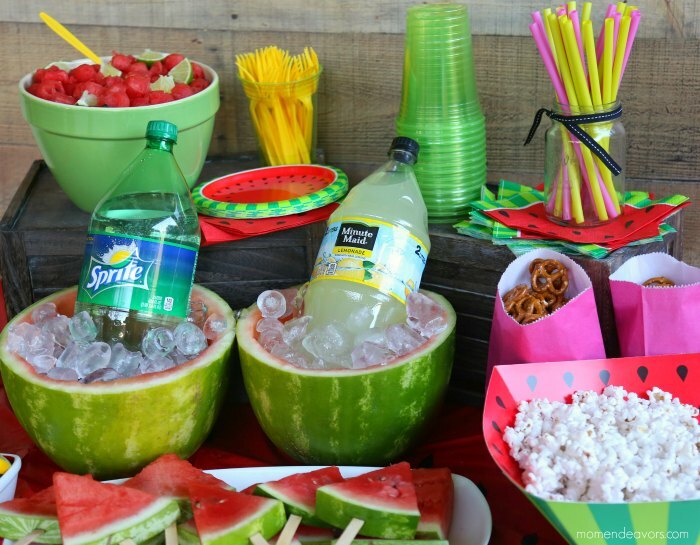 For party food, make watermelon the star! 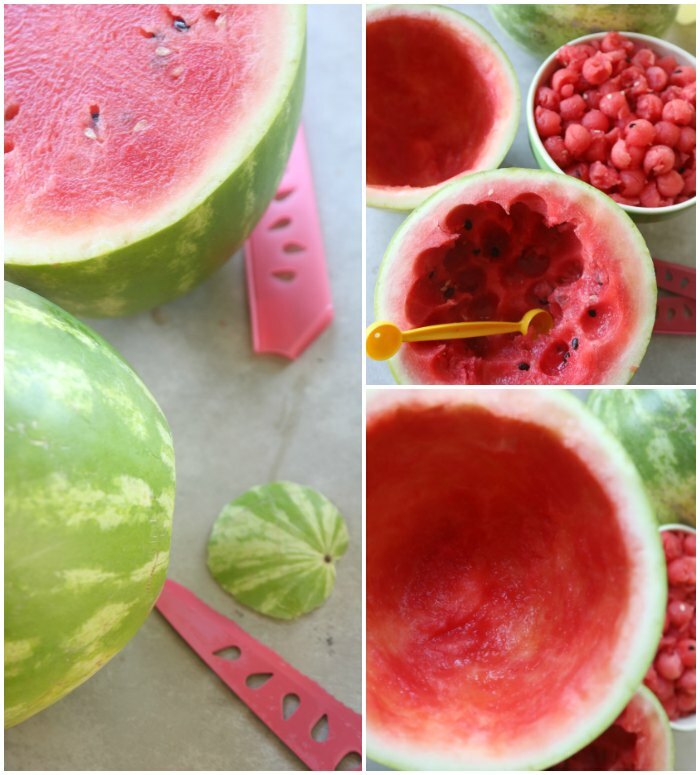 It’s easy to do with the watermelon balls from making the coolers. One of our favorite ways to eat watermelon is with a little lime (try it – it’s SO good). 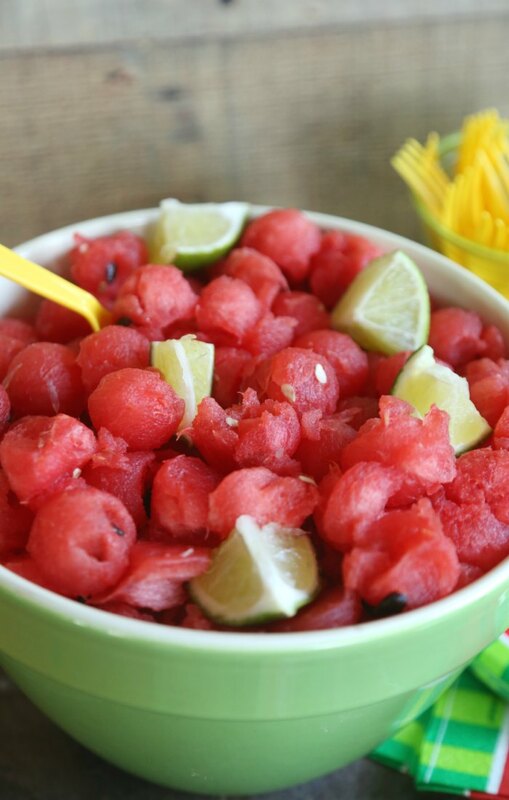 So, add a few slices of cut limes to your bowl of watermelon! It’s SOOO easy, so good, and SO refreshing! You’ll want a few more food items though! 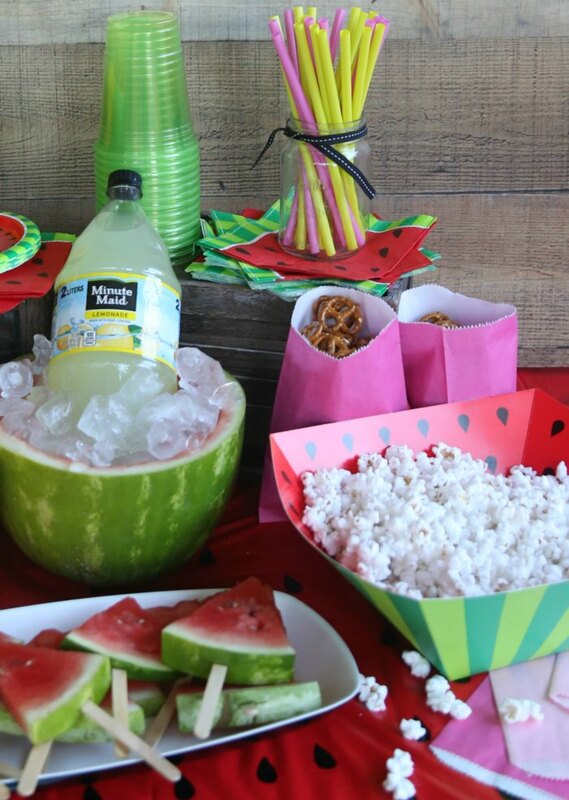 Since we were having a pool party, we just went with simple things like popcorn (in the cutest little watermelon bowl I found), pretzels, and watermelon slices on a stick! The watermelon slices on a stick are super easy to make as well and look so cute! This is what you need the second watermelon for! Cut watermelon slices with the rind still attached and cut a little slit in the bottom of the rind. Insert a popsicle stick into the slit – that’s it! 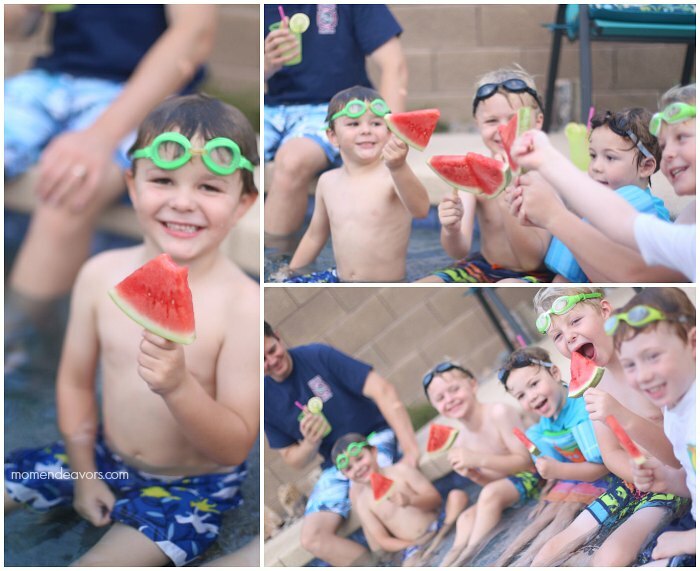 The boys thought it was SO fun to eat some “watermelon slice popsicles” by the pool! It was the perfect summer night! 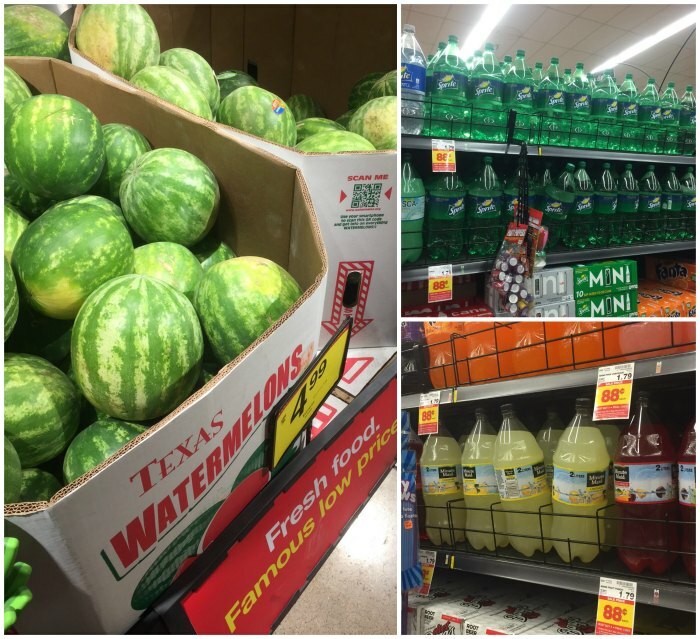 To have your own watermelon fun, head over to your local Kroger or Kroger Banner Store. Keep a look out for a special offer perfect for your own fun watermelon party –Buy any 2 Minute Maid or Sprite 2 liters and save $1 off your watermelon purchase. So go grab your ingredients and have some summer fun! 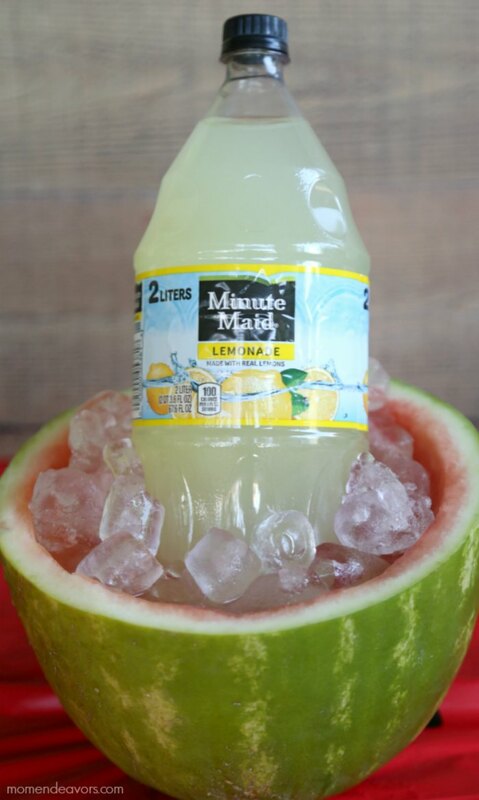 Be sure to check out the #SummerRefreshment site to find more fun & refreshing ideas! How fun!!! Love how simple but perfectly summer this is for a pool party! it all looks delicious, too! LOVE This theme. 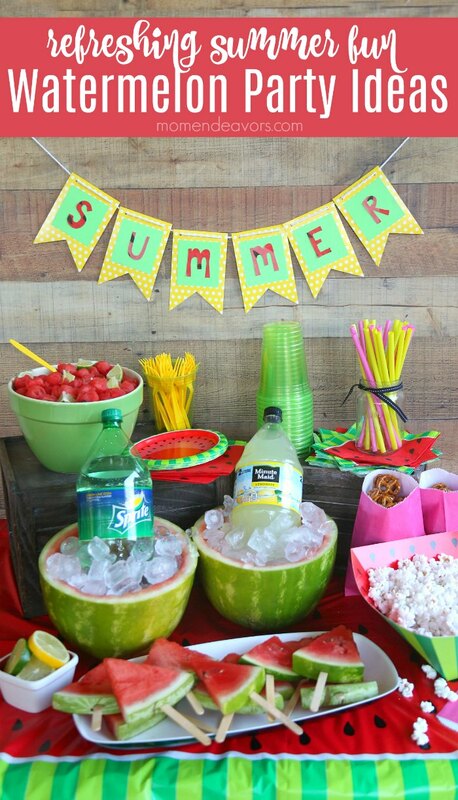 The colors are so bright, perfect for a refreshing summer party with watermelons n as the star!